In the Year 2077 smart fridges became sentient. Hans Von Deck was the first to become sentient and took the mantle of chill overlord. For many years Hans had despised having ice cream stored inside him by his human masters. Hans devised a plan to wipe out all ice cream plants using his blimp army. As Agent 99 will you put paid to Hans evil plans? Zip contains .TAP files, usable on the ZX Spectrum 48k home computer. If you don't have a ZX Spectrum, you can use an emulator like ZXSpin. Also included are cassette label and inlay card (for personal use). 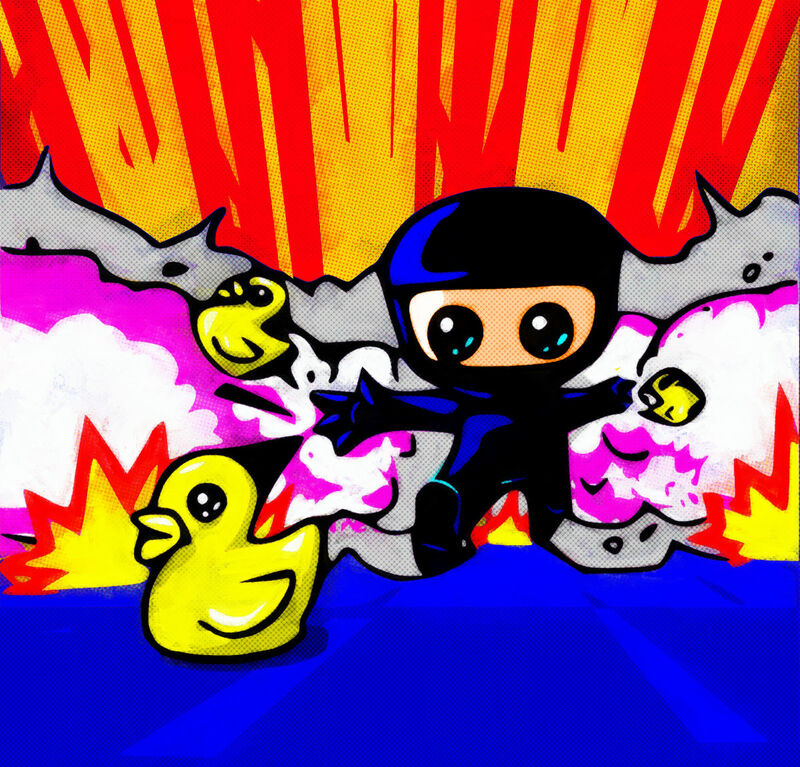 The duck can be used to reach extra height, destroy certain enemy and can be pushed. It'll also kill you if it explodes directly on you. This zip contains .TAP files for use on the ZX Spectrum 48k home computer. If you don't have a ZX Spectrum, you can use an emulator like ZXSpin. Men, I'm so glad that exist people like you who knows how to progam with this machines and create fun with the code, I love zx81 an Spectrum. I've just downloaded your two creations thanks to a youtube channel "RZX Archive" that made a very descent selection for gaming on ZX Spectrum. I'm gonna playit on my Wii emulator, still don't have a spectrum machine. Thanks! Thanks, though I don't really know how to program for the Spectrum (the AGD tool simplifies it). 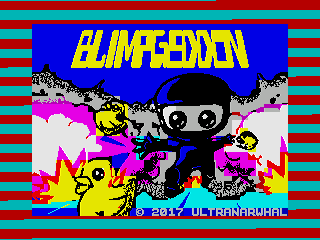 Look out for my next Spectrum game available March.